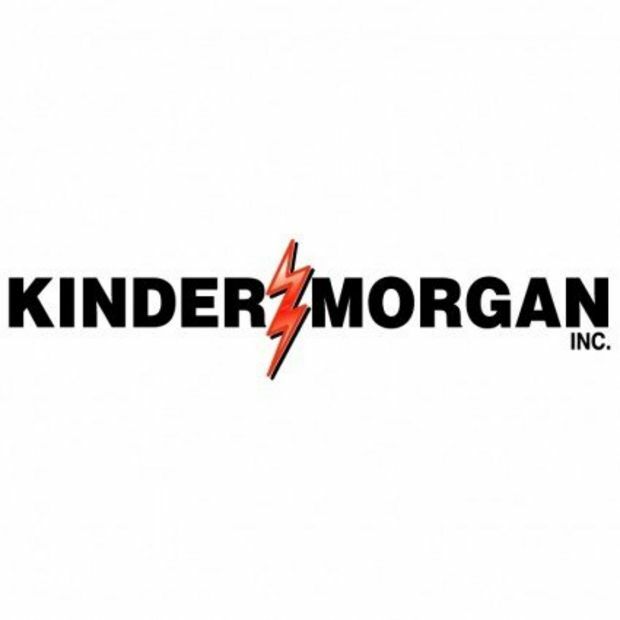 Cheniere Energy Inc. announced that it has achieved important regulatory and financial milestones related to the development of its previously announced 200-mile, 36-inch interstate natural gas pipeline project (Midship Project). Midship Pipeline Co. LLC has filed an application for a Certificate of Public Convenience and Necessity with the Federal Energy Regulatory Commission (FERC) with respect to the Midship Project. Midship currently targets receipt of FERC authorization in early 2018 and in-service of the Midship Project in late 2018 or early 2019. In addition to filing the FERC application, Midship Holdings LLC has entered into agreements with investment funds managed by EIG Global Energy Partners (EIG) under which EIG-managed funds have committed to make an investment of up to $500 million in the Midship Project, subject to the terms and conditions contained in the applicable agreements. Subject to Midship Holdings making a positive Final Investment Decision with respect to the Midship Project, the EIG Investment, and equity contributed by Cheniere, is intended to ensure that the project has the equity funding expected to be required to develop and construct up to the full project design of 1.4 MMDth/d of throughput capacity. Credit Suisse acted as exclusive financial advisor to Cheniere on the EIG Investment. 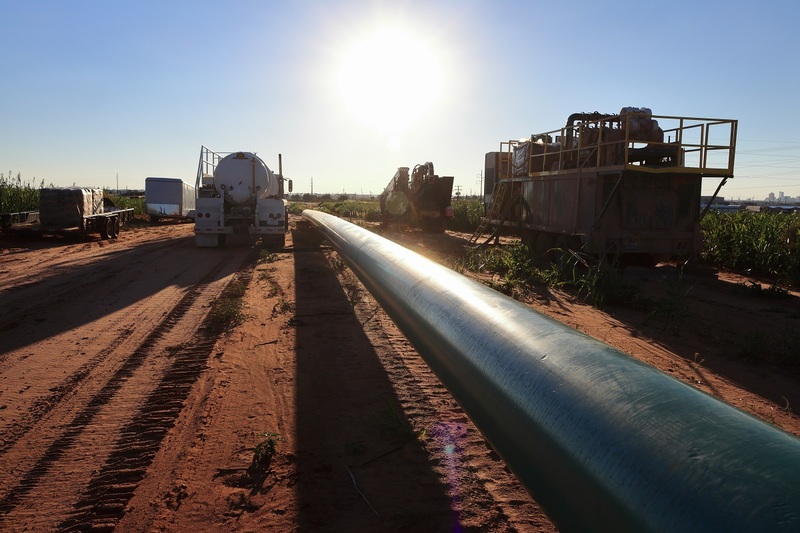 The Midship Project is being developed to create pipeline capacity to connect production from the emerging STACK and SCOOP resource plays in the Anadarko Basin in Oklahoma to growing Gulf Coast and Southeast markets. 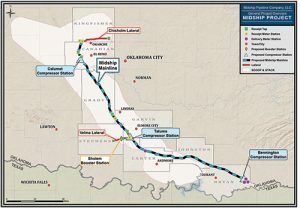 The Midship Project is expected to consist of approximately 200 miles of 36-inch diameter new mainline pipeline, several laterals, compressor stations and interconnects that will provide receipts from STACK and SCOOP processing plants and provide deliveries to Bennington, OK, as well as access to downstream markets including the TexOk hub near Atlanta, TX, and the Perryville Hub near Tallulah, LA.